The impressive display is set to draw the crowds when they arrive at Harrogate International Centre over January 21-23 next year for Europe's leading showcase for turf professionals and buyers. Leading New Holland’s hi-tech parade is the T4 PowerStar. Equipped with turf tyres and ready for anything, this true all-rounder can turn its hand to field, PTO work, loading and transport tasks. Operations are comfortable and clear thanks to the new deluxe VisionView™ cab, backed up with responsive power ranging from 55 to 75hp across the three models. The flagship of New Holland’s compact tractor range is the Boomer Easydrive™ 3000. For customers who demand even more precision and comfort, the award-winning EasyDrive™ continuously variable transmission brings big-tractor ease of operation. The chain belt drive enables infinite speed adjustment up to 30kph enabling operators to precisely adjust their speed to the task in hand, whilst reducing in-cab noise and enhancing operator comfort. The smaller Boomer 25, meanwhile, is available with a two-range hydrostatic transmission and is a dependable work horse featuring a powerful diesel engine able to deliver 27 hp. 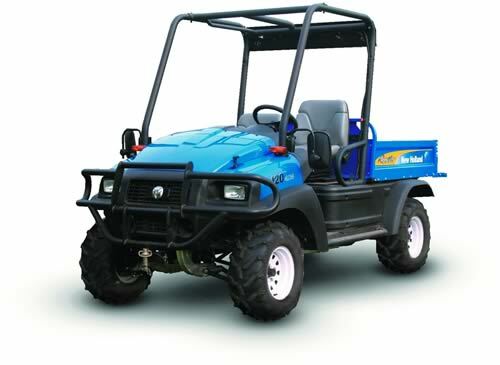 Completing the line-up is the Rustler™ - the true utility vehicle with excellent load capacity. The capability of hauling and unloading bigger loads with ease comes as standard thanks to the heavy duty tipping load platform and complimented further with best-in-class towing capacity. Boasting solid engineering, impressive ground clearance and a specification including intelligent automatic four wheel drive with auto differential locks, the Rustler™ keeps you working in any conditions. To find out more visit New Holland in Hall C, stand C61.